Kiss slot review| A Rock n’ Roll revival on the reels. Kiss Shout It Out Loud is a colossal reel and one hundred Payline video slot developed by Williams Interactive games. This unique slot features 2 sets of reels from which winning combinations can be made. Inspired by the legendary rock band Kiss, offering players features including colossal reels, a nudging wild feature and a free spins bonus round. Players will be delighted to know that Kiss slot is fully customizable. 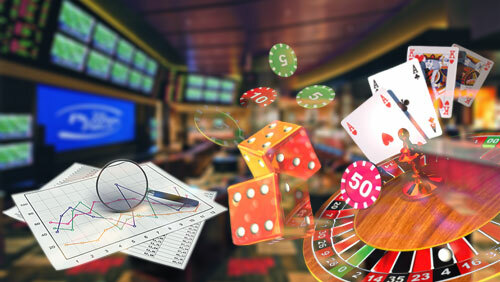 Players are able to adjust the payline wager amount for two lines and the active paylines available, thus allowing for complete control over wagered amounts. Kiss features two sets of reels. The set of reels on the left of the screen has 5 rows and the set of reels on the right hand side of the screen boasts an impressive twelve rows. The Colossal Reels feature allows for potential big winning combinations to be made on both the standard and colossal reel sets. The reel symbols in Kiss are themed around the famous members of the band and memorabilia from their rock steady days. Players can expect to see symbols including but not limited to Images of the individual band members, a grouped image of the band members, an electric guitar, a guitar pick and Gene Simmons’s tongue. Traditional subtly coloured playing card symbols represent the lower value symbols in Kiss Shout It Out Loud slot game; these symbols include the Jack, Queen, King and Ace icons. Players should keep a keen eye out for Nudging Wild symbols on reels one three and five. If players manage to land these wild symbols, they will expand to cover the entire reel and extend themselves to the next reel, allowing for potential big winning combinations. The image of the band members in a group shot, seen from an aerial angle, represents the wild symbol in Kiss Shout It Out Loud slot. The Kiss wild symbol will act as any typical wild within a video slot, substituting for all other symbols in the game apart from the feature symbol, which allows for additional winning combinations to be made on the reels. The Kiss band logo symbol represents the feature symbol in Kiss Shout It Out Loud slot game. Players should be aware that the Kiss logo feature symbol will only appear on reels one, three and five of the main set of reels. The logo feature symbol will also appear on reels one, three and five on the Colossal reels. Players should keep a keen eye out for the Kiss logo symbol on the reels as it will trigger the free spins feature and the bonus feature of the slot. If players manage to land three or more Kiss band logo symbols on reels one three and five, the free spins bonus feature of Kiss Shout It Out Loud slot will be triggered. Once the bonus feature initiates, players are greeted with an elitist backstage pass. Landing three Kiss logo feature symbols will provide players with eight free spins and a two times dynamic multiplier. Four Kiss logo feature symbols will reward players with twelve free spins and a five times dynamic multiplier. If players manage to land five Kiss logo feature symbols, players will be awarded twenty free spins coupled with a whopping twenty times dynamic multiplier. See more options at mobile casinos Canada.